Forgery is aggressively prosecuted in Arizona as it is a blatant form of fraud. Depending on the form of the fraud, one may be facing state and federal charges. 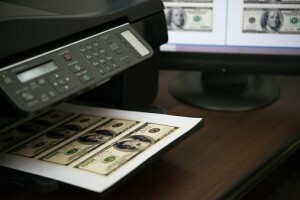 Additional charges, such as identity theft, are often brought in conjunction with a forgery case. If you find yourself in such a situation then you need legal assistance. Our Phoenix criminal defense attorney assists residents who are facing forgery charges. Call our office today to speak with a lawyer. In Arizona, the two most common forms of forgery are falsifying the name on a stolen check or the altering of a legal document or contract. One engaging in such conduct will likely be charged with a class four felony. As with other felony charges, the prosecution will either seek an Indictment from the Grand Jury or begin the case through the filing of a criminal complaint. Such matters often hinge on whether 1) the defendant can be identified as the person who committed the forgery and 2) whether the defendant made incriminating statements to the police. Having a defense counsel who is able to deal with each of these issues, is crucial to one’s defense. Bretton Barber is an aggressive defense lawyer assisting those charged with forgery. Once retained he will immediately obtain all evidence against the defendant in order to determine the strength of the government’s case. If the accused was identified through overly suggestive police procedures then Bretton will file a Motion with the Court requesting that an in-Court identification not be allowed. Also, if statements were made to the police in violation of one’s Miranda rights then Bretton will seek their exclusion. Forgery is a serious offense and you need an attorney who will take the matter seriously. Contact our office today. In addition to Phoenix we represent defendants in other Maricopa County cities such as Mesa, Glendale, Scottsdale, Chandler, and Gilbert. We also assist Pima County residents in Tucson. Arizona considers it a crime to possess tools for the express purpose of committing forgery. For example, it would not be legal to possess a tool used to forge a government seal in order to produce fake documents. However, it can be difficult to prove that tools are being used for the purpose of forgery. In most cases, it is not illegal to make reproductions of documents and objects, it is only illegal to pass forged works off as an original. For example it is not illegal to reproduce a famous painting. It is only illegal to sell it under the original artist’s name. Hence, proving that tools are meant to be used to commit a crime can become complicated and an effective criminal defense attorney can protect a defendant’s rights and freedoms. Call us today for more information.